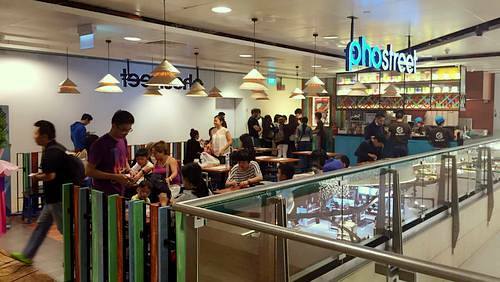 Pho Street Vietnamese restaurant chain has a total of 11 locations in Singapore, including one within The Centrepoint shopping centre (176 Orchard Road). Serving authentic Vietnamese street delights, Pho Street is a vibrant dining experience from iconic Pho selection to an array of street snacks, such as Banh Mi. …Rice Vermicelli Wrap with Crispy Roasted Pork Belly, Pho Chicken Combination, Spicy Pork Combination Rice Vermicelli, as well as Dry Rice Vermicelli with Grilled Pork Belly & Spring Roll. The official Facebook brand page for Pho Street restaurants is available at www.facebook.com/PhoStreet. Following the Facebook page, you’ll be among the first to know about Pho Street’s new menu items, promotional offers, events, and more.